I had invited a bunch of my friends over for a chocolate making mommy play date. We created several recipes to share and make for our friends. Over the next few days I will be sharing all of these great recipes with you then following up with a party summary. Each of the recipes were created using a Country Crock product. 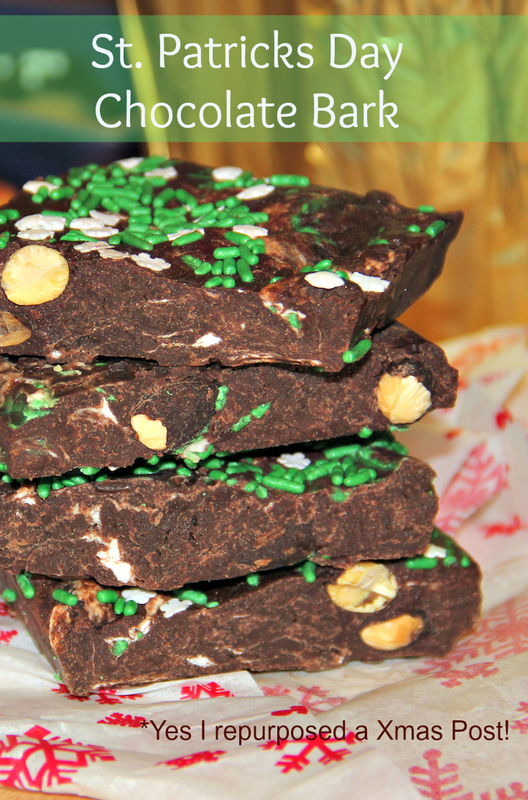 This Rocky Road Bark recipe has a hint of cinnamon which comes from the Country Crock cinnamon spread. When adding this make sure you stir the chocolate smooth first AND that the butter is melted before combining them together or the chocolate will seize. If this happens, just melt some butter and and more and it should unseize. Weird fact, but true! Yum! This would be perfect in those Christmas baking tins I plan on making this year! You had me at rocky road! I don’t care what it is, you say rocky road and I’m like “Hello that’s for me!” lol. This really does look amazing. I must try to make this. That looks crazy good and super easy to make! I’m thinking I know what teachers gifts are going to be this year! This looks delicious. Must try this soon. This does look good, Jen! Also, if the chocolate messes up, honey can be added to make it smooth again. I love almonds so this is great for me!